mGluR5-containing synapses have essential roles in synaptic plasticity, circuit physiology, and learning, and dysfunction at these synapses is implicated in specific neurological disorders. As mGluR5-containing synapses are embedded in large and complex distributed circuits containing many neuron and synapse types, it is challenging to elucidate the roles of these synapses and to develop treatments for the associated disorders. 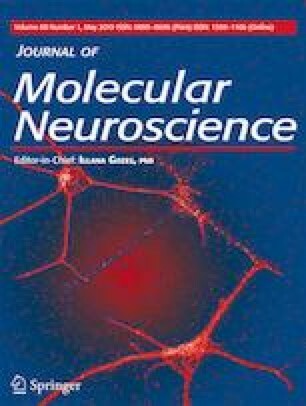 Thus, it would be advantageous to deliver different genes into pre- and postsynaptic neurons connected by a mGluR5-containing synapse. Here, we develop this capability: The first gene transfer, into the presynaptic neurons, uses standard techniques to deliver a vector that expresses a synthetic peptide neurotransmitter. This peptide neurotransmitter has three domains: a dense core vesicle sorting domain, a mGluR5-binding domain composed of a single-chain variable fragment anti-mGluR5, and the His tag. Upon release, this peptide neurotransmitter binds to mGluR5, predominately located on the postsynaptic neurons. Selective gene transfer into these neurons uses antibody-mediated, targeted gene transfer and anti-His tag antibodies, as the synthetic peptide neurotransmitter contains the His tag. For the model system, we studied the connection between neurons in two neocortical areas: postrhinal and perirhinal cortices. Targeted gene transfer was over 80% specific for mGluR5-containing synapses, but untargeted gene transfer was only ~ 15% specific for these synapses. This technology may enable studies on the roles of mGluR5-containing neurons and synapses in circuit physiology and learning and support gene therapy treatments for specific disorders that involve dysfunction at these synapses. The online version of this article ( https://doi.org/10.1007/s12031-019-01317-9) contains supplementary material, which is available to authorized users. Assistance from the Research to Prevent Blindness and the Lions Eye Foundation is gratefully acknowledged. A.N. is responsible for the experimental design, gene transfer surgery, perfusions, brain sectioning, immunofluorescent staining, microscopy, cell counts, and figure preparation; A.S. for the vector packaging, purification, and titering; and A.I.G. for the project design, supervision, data analysis, statistical analysis, figure preparation, manuscript writing, and editing. This work was supported by NIH Grant NS086960 (AIG). All animal care and experimental procedures were approved by the Louisiana State University Health Science Center New Orleans IACUC. A.I.G. has equity in Alkermes Inc.